Forest Choice #2 Pencil Review – Pens! Paper! Pencils! 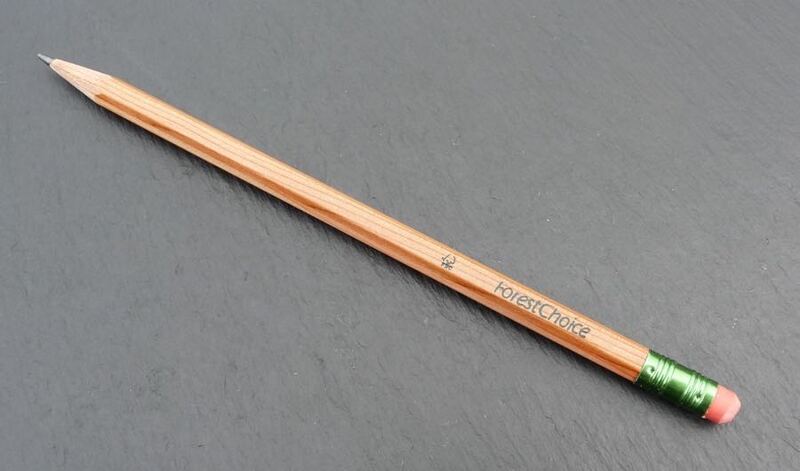 The Forest Choice is a wooden pencil available in #2 (HB) grade. It comes with an eraser and is available in boxes of 12 for about $3. 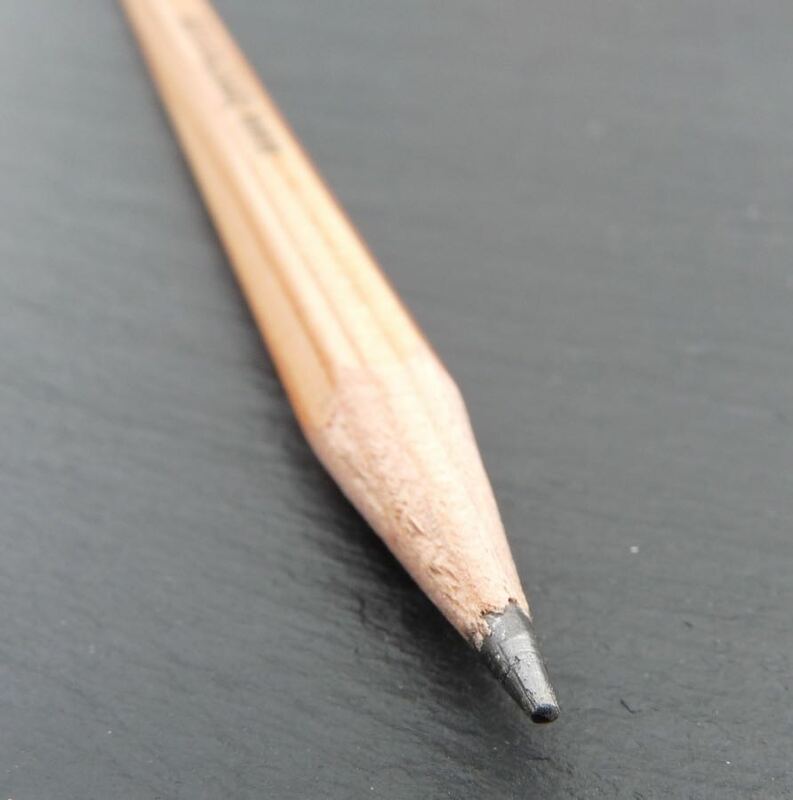 The pencil is made from incense cedar and lays claim to being the first FSC-certified pencil. The barrel is lacquered and is simply branded. There’s no barcode but there is a URL where the barcode would usually be. Personally I find the juxtaposition of a website address on a traditional-looking pencil a bit jarring but that’s perhaps just me. I also prefer my wooden pencils to be unpainted. The lead is quite smooth and holds its point well. 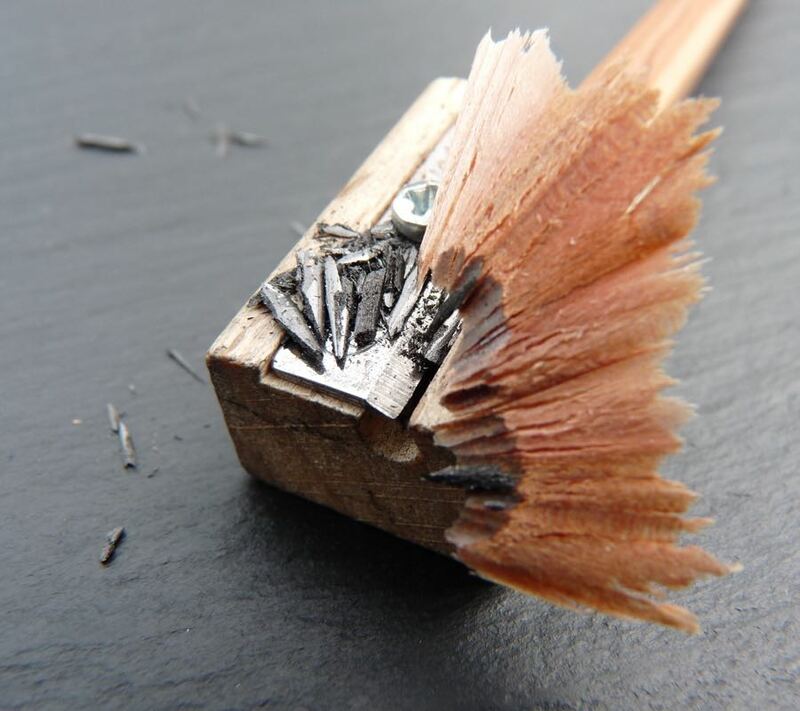 This pencil sharpens nicely. The lead gets to a nice point without breaking with a clean finish to the barrel. The barrel is comfortable to hold. 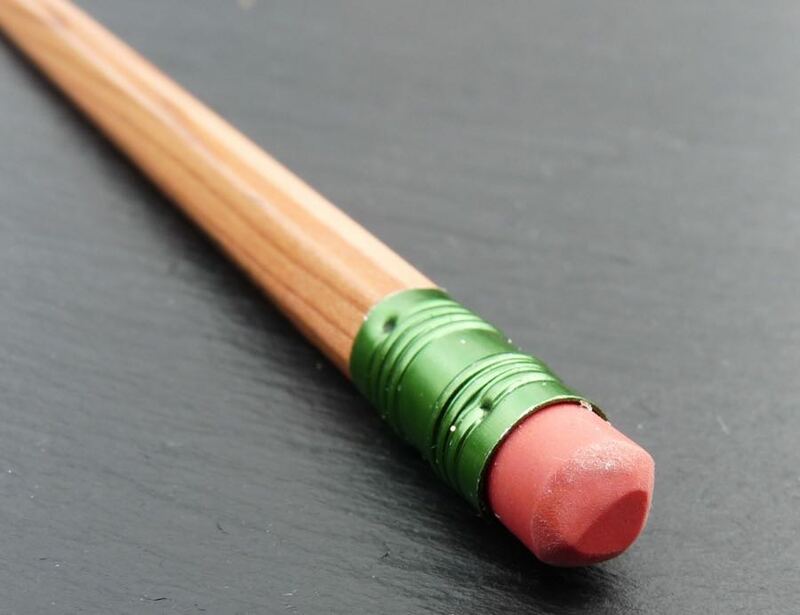 The eraser is pretty good and removes the pencil without smearing. 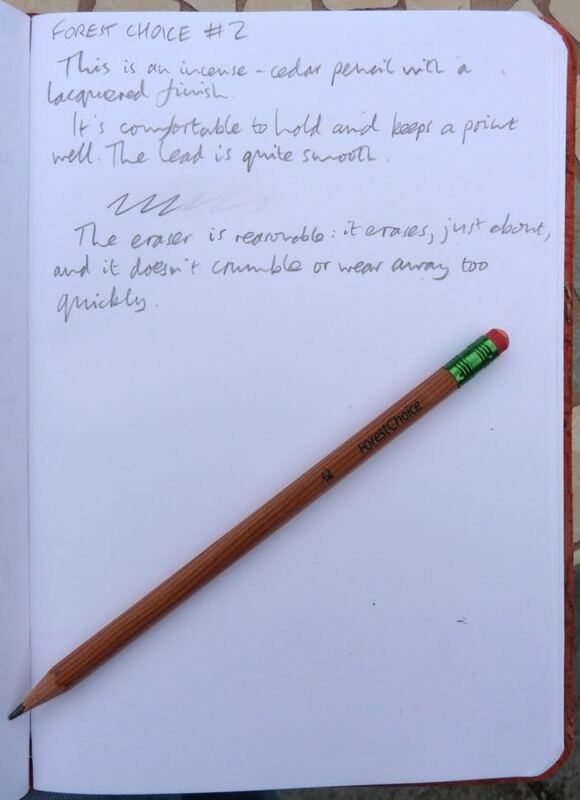 The Forest Choice is a cheap pencil that writes very well and has a nice simple finish. It’s not quite to my taste but if you like the almost-but-not-quite natural finish then this is an excellent pencil and extremely good value. This one is definitely on my list – I love “natural” finish pencils. Ian, you’re right about the URL, but other than that I absolutely love the aesthetic. Mine, which are five or more years old, are inconsistent but generally pretty good writers. Pencils.com sent a dozen for teacher appreciation week. They have added the Palomino logo to the front, removed the url from the back, and no more lacquer. Went from a pencil I liked to one I love. Oh that sounds fantastic! I’ll see if I can get some and then update the review. Thanks for letting me know.